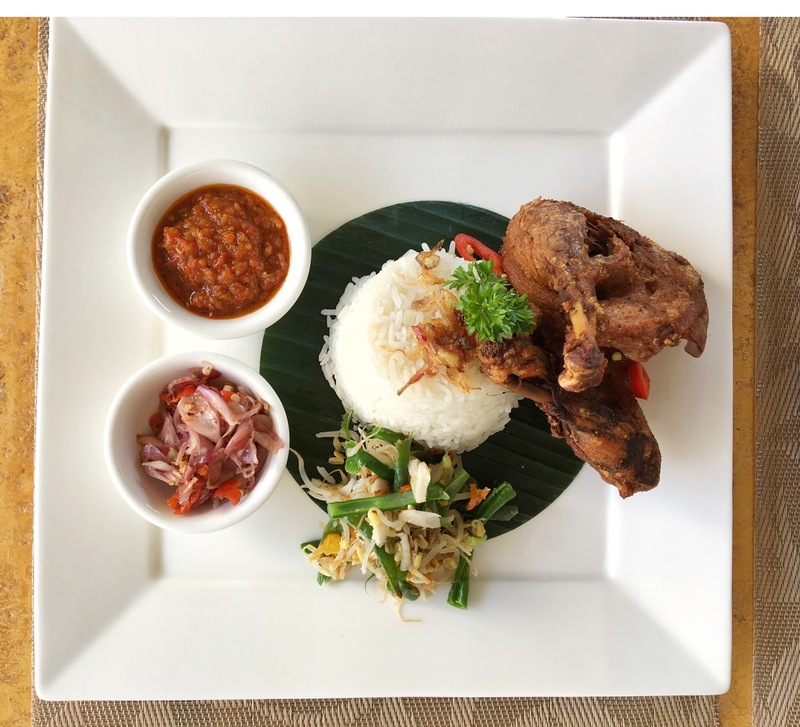 If you're a fan of Indonesian food or International cuisine, you might love what I'm going to share this time. Today, every month there's always a new place in Bali. This time, I will share about a new restaurant in Sanur. 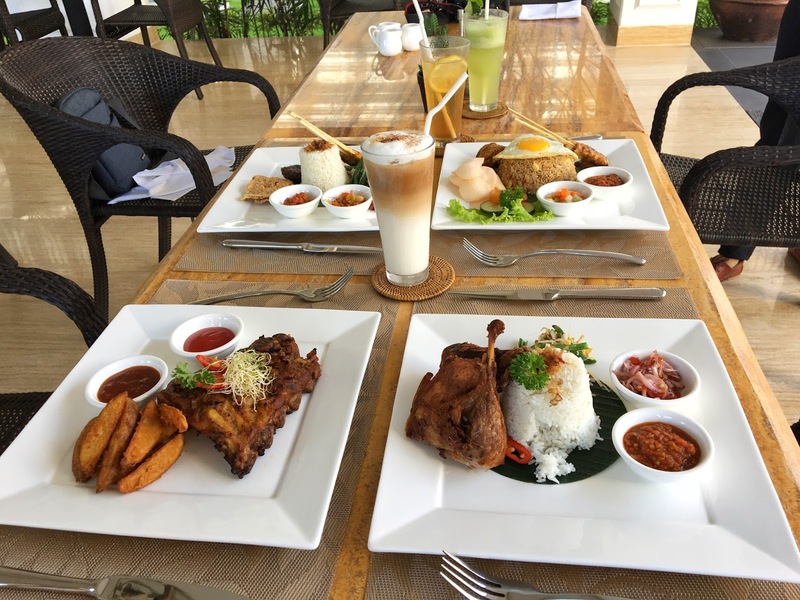 We all know the famous restaurant or cafe in Sanur, such as Milestone Coffee, Massimo Gelato, Natrabu Minang Restaurant. Well, get ready to add one more to your bucket list which is Sindhu Restaurant & Bar! I'm so lucky I got tried all of these delicious food while staying at Grand Palace Hotel Bali, and I couldn't just stay silent about it. I have to share it, guys! If you live in Bali or have been to Bali, probably you already know that Pork meat is very famous here. It's literally everywhere, and good news! One more Pork Ribs you gotta try! 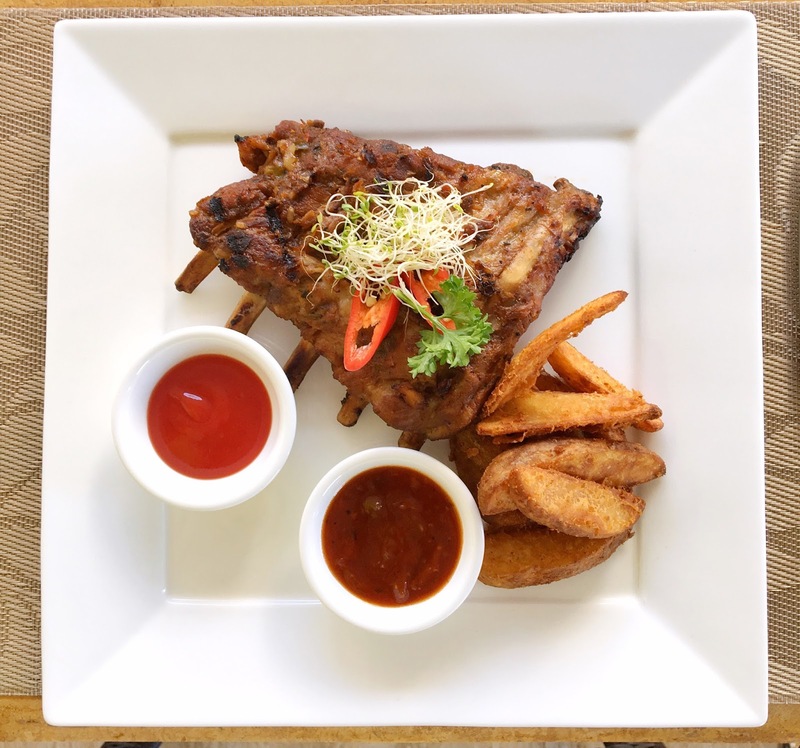 This grilled pork ribs is so delicious, served with BBQ honey sauce and potato wedges, it is a perfect mouth-watering food you should add to your bucket list! To be honest, as an Indonesian, I can't live without rice or nasi, that's how we called it here. Some of us will never feel full before we eat rice. 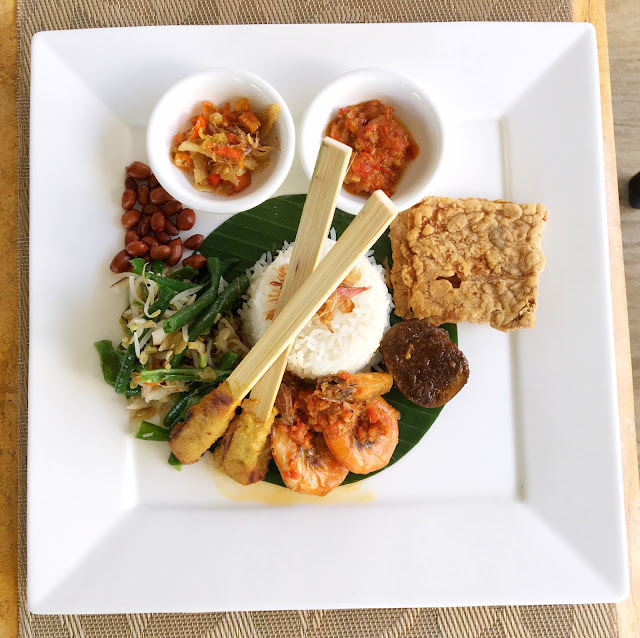 So, this Nasi Campur Bali or Bali Mixed Rice is perfect meal for us ;) Served with shredded chicken, fish satay (sate lilit), prawn, egg, tempe crackers and urap vegetable, this spicy combination will melt in your mouth. The food looks delicious here! Thanks for sharing these wonderful pics. Thanks for the review! Maybe I'll try it out when I'm in Bali. I just ate lunch but this is totally making me hungry lol. Everything looks delicious. I'm so jelly right now! that rice dish looks sooooo good! Looks like a nice place. Great post!